Our 2015 year-end function drew the curtain on yet another fast-paced year, which brought about many new developments. The theme ‘A Night at the Derby’ added particular glamour to the closing of the year, which at times felt like a hectic horse race where jockeys and horses alike had to perform their ultimate best in order to complete the races they were in. 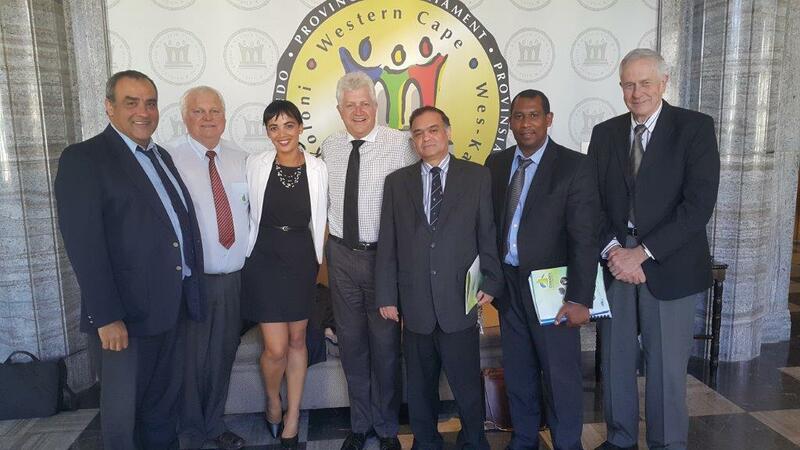 On the 27th November 2015, Casidra’s staff reflected on a successful year and joined by their honoured guests, Minister Alan Winde and Casidra Board members, enjoyed an evening to celebrate a demanding, but successful year. We are extremely proud of all of our achievements during this demanding year during which we saw, amongst others, Casidra achieving yet another clean audit, making it 23 in a row. A lot of effort was put into refining our internal systems such as the Electronic Performance Management System (EPMDS) and the web-based project management and reporting system (Casper). Casper has up until now not been fully integrated, but will be rolled out more earnestly during 2016. Other systems that are continually being refined include the video conferencing facility, which enables us to conduct meetings in a more cost-effective way with our farms and regional office. We are proud to publicise that during the year Waaikraal was re-awarded the Emerging Seed Producer of the Year prize from the Klein Karoo Seed Company. Congratulations to Jolian du Preez, Waaikraal’s manager, and his team! During this past year, Casidra was also tasked with the responsibility of implementing the WCDoA’s Sheep and Wool as well as the Grain Commodity Project Allocation Committees. The required staffing was put into place and necessary documentation obtained after a few challenges in order to continue servicing the beneficiaries for these commodities. Casidra’s staff is by no means lulled into believing that the year 2016 will be slower and quieter than the past year. In fact we are expecting the coming year to be as full of activity and demanding, if not more, than the year 2015. We are also cognisant of the upcoming municipal elections that could possibly require implementation of projects not necessarily anticipated. We will continue our business support, funded through our mandate from the Department of Economic Development and Tourism (DEDAT) and Comprehensive Rural Development Programme (CRDP), to emerging, small and medium enterprises. These groups have displayed a huge need for business and financial support and we will continue to lobby our clients and the private sector to bolster the Fund providing loans and other assistance to these businesses. Casidra plans to continue growing its partnership with CapeNature and is nurturing its relationship with the Department of Environmental Affairs (DEA), who is increasingly utilising our services as an implementing agent. 2016 Will undoubtedly see an increase in the requests to the Land Reform Advisory Desk (LREAD) and we are gearing ourselves for these activities. The Ministry will also start driving projects linked to Project Khulisa after the latter was approved by Cabinet during mid-2015. Another expectation is our involvement with projects related to Agriparks and we are awaiting the outcome of initial meetings we held with the Department of Rural Development and Land Reform (DRDLR). The organisational realignment of functions within Casidra is expected to be completed early this year. This exciting new structure will allow us to be ready for the numerous initiatives the year is expected to bring. Here’s to an exciting new year for Casidra!